Believe it! You’ll know when it’s time to bite the bullet and give us a call. Doesn’t hold air (and the valves are good). Looks like it’s begging to be put down. Makes you embarassed to see it hanging from your davits. Yes, you’ll know. But once you’ve come to the conclusion that retubing might be a valid option (and it’s generally a good option), picking up the phone and calling us is one of the smartest things you will ever do. 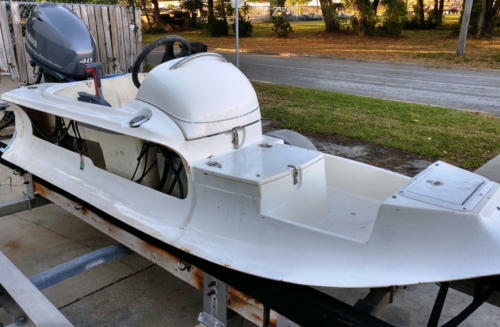 Not only does the process include brand new, top of the line, Hypalon tubes, but also an inch- by-inch detailing of the fiberglass hull, inside and out. That assures the finished job will truly be better than new. The bare hull pictured above is a 2000 Avon 3.6M Sea Sport. No, that’s not a new dinghy. Better than that! It’s a 2006 AB10VS after undergoing an AI BOATS professional retubing job. What can we say? The results speak for themselves. For all the right reasons, a retubing job from AI BOATS will give you years and years of additional service. And you can rest assured that your “now new” dinghy will truly be better than it was when it was brand new. Take care of it, and it will serve you well for many years to come. Perhaps one of the most dramatic services we offer involves transforming the lifeless hulk of a worn-out RIB into a vibrant, better-than-new version of its former self. Take a look at some of the retubing examples, and see if your RIB might be a candidate for this process. 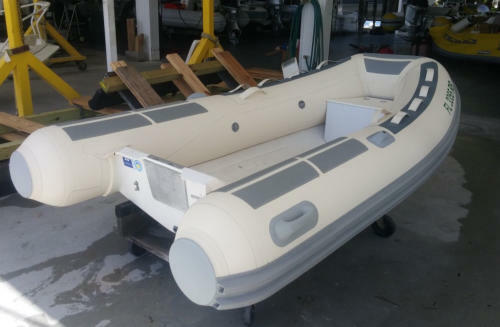 Not only does the process include brand new, top of the line, Hypalon tubes, but also an inch-by-inch detailing of the fiberglass hull, inside and out. That assures the finished job will truly be better than new. The results speak for themselves. For all the right reasons, a retubing job from AI BOATS will give you years and years of additional service. 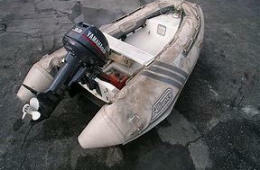 And you can rest assured that your “now new” dinghy will truly be better than it was when it was brand new. Take care of it, and it will serve you well for many years to come. Other Services Click here for a list of other services available.